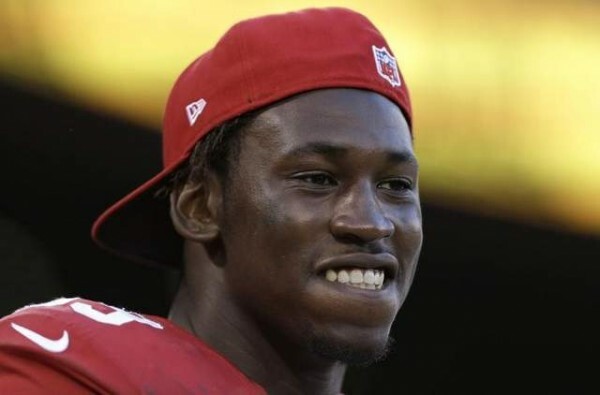 Aldon Smith was charged with three felony counts of illegal possession of an assault weapon Wednesday. These charges stemmed from an incident at a party the San Francisco 49ers linebacker held at his home in June 2012. During the event, a Northern California man said he was shot when Smith and now-Titans tight end Delanie Walker, reportedly fired gunshots in the air while trying to end the party. The Santa Clara County district attorney, who announced the charges, said the NFL player is expected to be in court later this month. According the district attorney’s office, Smith could face up to four years in prison in convicted.